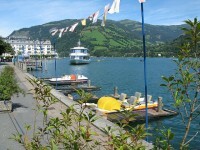 Prater is the largest natural park between the Danube and the right canal of the Danube. In the park you will enter in a totally different world. It’s alive and kicking during the day and it is a twilight zone during the night. 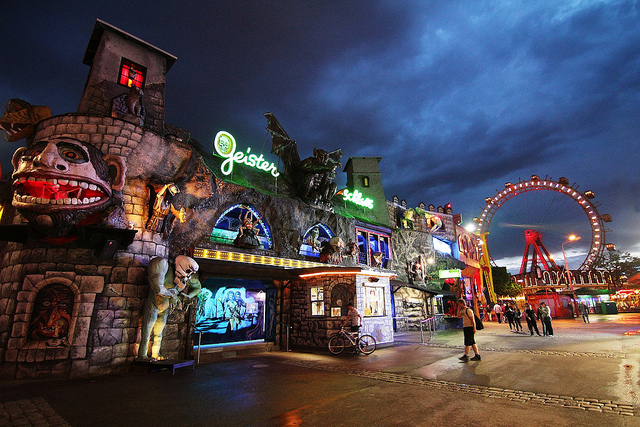 The Prater Amusement Park in Vienna covers an area of ​​about 1287 acres. In the first part of the park you will find the so-called “Wurstel” or “Volk” Prater with bistros, dance halls, a huge Ferris wheel, walking places, a dinosaur park and many other attractions. The land on which the Prater Amusement Park is built was first mentioned in 1162 when Emperor Friedrich I gave the land to a noble family called Prato. In 1560 Emperor Maximilian II decided to organize hunts on this area, but later Emperor Rudolf II forbade poachers to get into Prater. 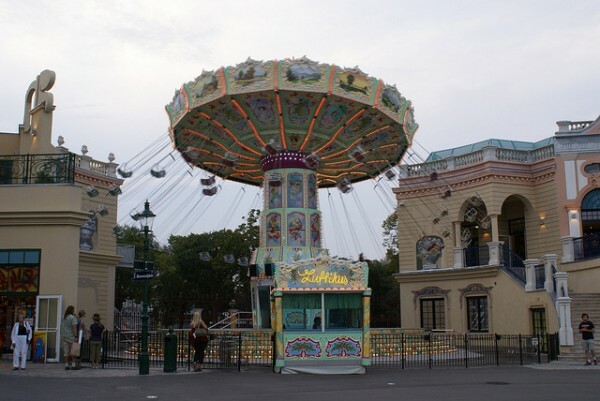 On the 7th of April, 1766 Emperor Joseph declared Prater as a field of fun for people and allowed to be opened several cafes there, which represented the beginning the Prater Amusement Park of today. The first show “Punch and Judy” dates from 1767 and the first fireworks from 1771. In 1791 the first hot air balloon of Blanchard rose into the air, in 1840 Calafati began to work on an intersection here and from 1854 the park was guarded by the “Great Chinese”. Almost any type of sport is represented in Prater. 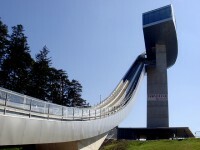 There is riding in Freudenau, trotting in Krieau, swimming in the stadium pool, soccer in the Ernst Happel stadium built in 1931 and covered in 1986, cycling in the Ferry-Dusik stadium, tennis and bowling in the WAC courts. 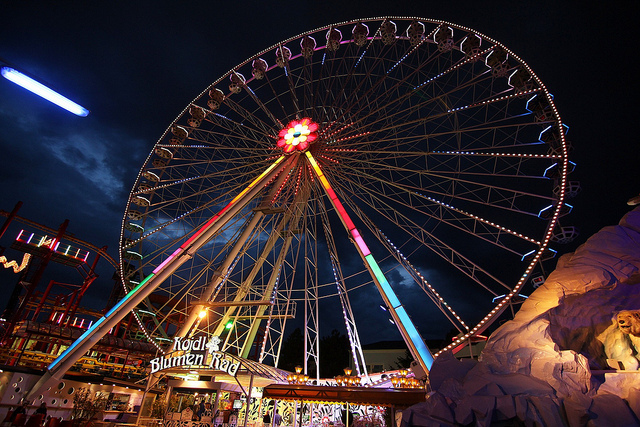 Probably the most famous attraction of the Prater Amusement Park in Vienna is the huge wheel with a height of 65 meters. From the wheel you can admire all Vienna. Besides the wheel, the park includes 250 attractions such as go-karts, horror train, fantasy train, boat trips, mirror room (where you can see yourself slim or fat), mountain-rousses, carousel, minigolf, billiard and many restaurants and cafes as well. 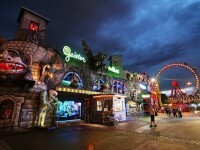 The Prater is opened from the 15th of March until the 31st of October. The entry to the park is free, but you have to pay at the attraction that you want to try. You can get here with the underground (U1 – Praterstern station; U2 – Praterstern or station Messe-Prater), with train (S1, S2, S3, S7, S15: Wien Nord station), with tram (line 0 or 5) or with bus (line 80A).